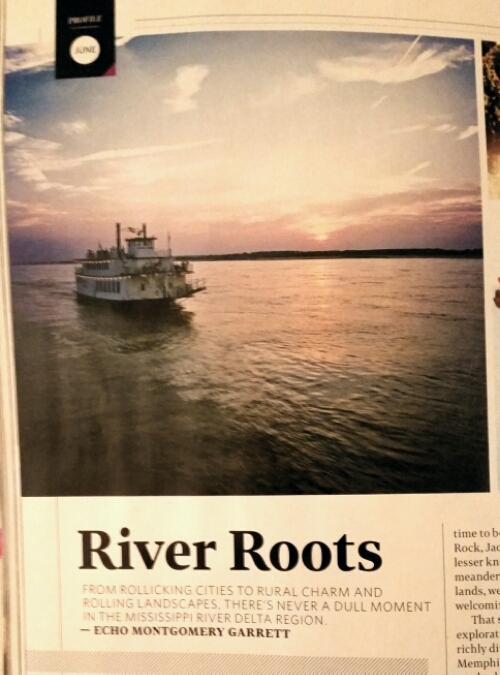 On my Delta flight back to NYC from Toronto today, I was flipping through Sky magazine, and an article on the Mississippi Delta caught my eye. Where to go. What to do. All the summer festivals, food and drink. Pull up a chair and have a helping of barbecue at Kentucky’s Fancy Farm Picnic – – the world’s largest picnic – – held in August. Look at that, friends and family! We’ve got another publication to add to the list! I almost grabbed the PA from the flight attendant to get everyone to read page 83…but decided to let them discover it for themselves. 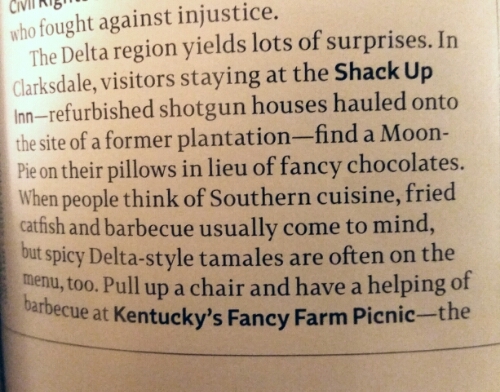 This entry was posted in Entertainment, Family, Food, Friends, Humor, Magazine, Travel and tagged article, Delta, family, Fancy Farm Picnic, festivals, friends, Humor, Kentucky, Mississippi Delta, SKY magazine, summer, Travel. Bookmark the permalink. Love that – had to be so neat to find this!